I currently have forte 1's with marantz 2252b and a pioneer tt with ortofon blue cart. If you've read some of my other posted questions, I love the way it all sounds together, but with all the research Ive been doing on tube amps, I starting to get an itch to hear what all the hype is about with the tubes. I dont want to deal with pre amp and amp, or multiple other components, I know there are some tube amps that are a all in one, like my marantz is now. would it be worth the switch? Yes!!! However, there are many options available within your budget and all will have different characteristics. You need to consider various factors including room size, listening level, type of music, distance from the speakers when listening, what sources you will use, and more. If you state your location there may be folks around who own different types of amps and can bring them over for you to audition in your own system. That is the only way to determine what you will find most pleasing. IMHO, Fortes are going to sound their best with good tube amplification. 1000.00 is going to be pushing it. but there are a few tube integrateds on Agon around that price range. You can always go the Chinese route, just for a taste. This is a nice integrated amp that I own and will fit in most budgets. This amp does not have a phono stage but 4 connection for components. One can be purchased separately. My amp is silver. Haha ... @Mila1924 ... NO! Have Forte I's in my stereo room. Initially they were hooked up to a Marantz 1060, then a Marantz 2252B ... just like yours. After joining the forum and hearing most people "drool" over tube amps, I wanted one OK; got a (Bob Latino) Dynaco VTA ST-70 (with an attenuator knob so it could be used without a pre-amp) in December of last year ... spend about $1200 (plus another $100 for a tube headphone amp. Sound was nice ... not sure if it was any better than the Marantz. Connections are a pain ... most tube amps do not have a phono stage ... most tube amps only have ONE input ... so if you have more than one component its annoying. OK; so bought a pre-amp for it. Yeah; sound is "nice." Got rid off it a couple of months ago (sold it on the forum for $700 - lost $600). Do NOT think the improvement in sound is worth the hassle. Actually, do not really think there was a sound improvement. Know I'll catch hell from the tube guys, but just wanted you to hear another opinion also. @Emile sounds like you went down that path to save me from making the same leap. On one hand, I do love the way my system sounds now, but on the other hand, reading about the possibility of improving the sound with tubes is tempting, My biggest hesitation is that I dont exactly have a lot of extra time to try out this, and test out that and swap this for that, I would potentially be unhappy with my music for a while before sorting it all out and my marantz would be sold and gone by that point. Thought I would throw in another angle as I use an all solid state system and an all vacuum tube system. Both have their advantages and disadvantages so why choose, enjoy both. My tube setup was not purchased for linear performance but for having that magic in the mid's and treble. I enjoyed the pre-purchase research and dealt with people that would work with me if I had any issues with my choice. My solid state system sounded good with Chorus II's but the soundstage did not seem big enough especially when compared with the tubes. A different set of speakers really helped the solid state system though. I listen to them about equally. I have not tried any of the Chinese tube equipment so can't offer any feedback. My experience is more with the vintage American equipment from the 50's and 60's which when properly maintained sounds wonderful. 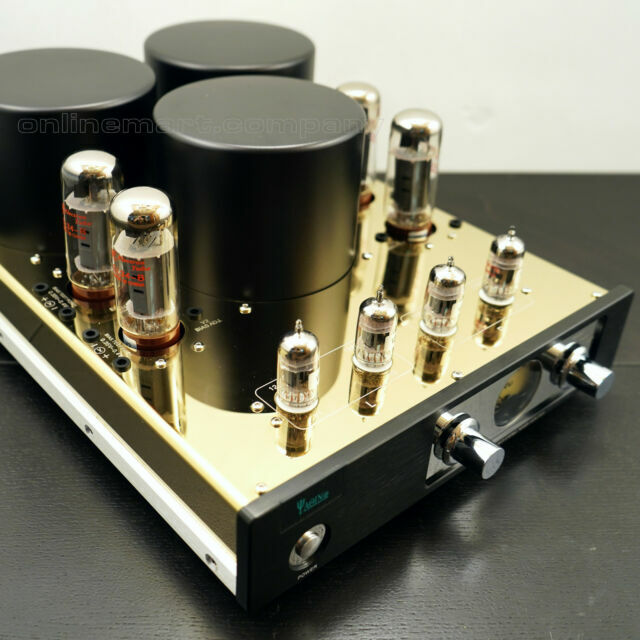 There are great tube resources here on the forum and Tube Fanatic - Maynard above is one of them. Yes; I was tempted also and tried it. Not sure if I did not spend enough $$ or if my ears just were not up to it Many, many people say it's a great improvement ... guess I just "did not get it." don't give up the journey before you start it. @robert_kc I've been really getting into jazz and blues. But I am really into any record that is a quality pressing. I love punk music, but quickly learned that the quality of punk vinyl is garbage, at least the ones I've tried. On the other hand, Ive never been a huge fan of allman bros, but after listening to eat a peach album, I am all about them.